This intensive two-day course will prepare you to take on the Product Owner role and is taught by a Scrum Alliance Certified Scrum Trainer. We’ll cover the Scrum framework but more importantly, what it means to function as the Product Owner, or Customer, for a Scrum team. You will learn about managing stakeholders, creating and grooming the Product Backlog, emerging detail with Product Backlog Items and User Stories including Acceptance Criteria and the Definition of Done. You will participate in exercises, in-depth discussion, case studies and techniques to help illustrate practices and principles. 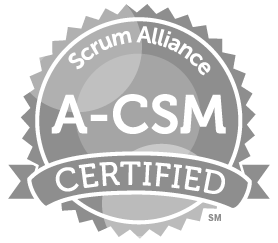 You are beginning to explore using Scrum at your company and want to learn the fundamentals + You want to demonstrate your knowledge of the role of the Scrum Product Owner to advance your career. By attending the 2 day CSPO course you will earn 16 PDU’s/SEU’s that can be applied towards further educational goals. To claim credits a code is provided at the end of the CSPO course book.
" I thoroughly enjoyed the class. Very informative. I feel as though I left with a lot of great tools to bring back to my organization. Chris did a wonderful job! " The CSPO Course is a 2 day class from 9AM-5PM, a light breakfast is served at 8:30AM and Lunch is provided mid-day. 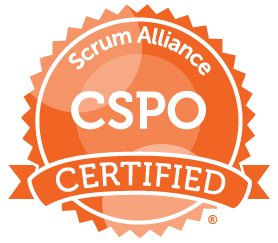 To earn your CSPO certificate you are required to complete the 2 day CSPO Course from an Authorized Certified Scrum Trainer. 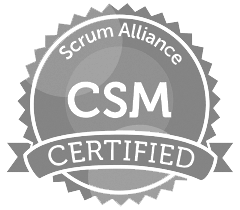 No specific work experience is required for the course, however CSM certification or some Scrum knowledge is recommended. There is no CSPO Exam. In order to be certified as a CSPO, you must attend both days of class and miss no more than 1 hour of class. All cancellations or date changes must be made at least 10 days prior to the course start date or will be subject to a $150 late-move/cancellation fee. No-shows or same day move/cancellations are non-refundable. By attending the 2 day CSPO course you will earn 16 PDU/SEU that can be applied towards further educational goals. To claim credits a code is provided at the end of the CSPO course book. Are you interested in corporate training? Bring us onsite for a Certified Scrum Product Owner (CSPO) private training for your team!